Kuwait – 20 October 2018: ASAR - Al Ruwayeh & Partners (ASAR), Kuwait’s leading and most prominent corporate law firm, and one of the region’s top tier firms, is pleased to announce that it has for a record 10th consecutive year received a national award presented by the International Financial Law Review (IFLR), the world’s leading market guide for corporate and financial law firms worldwide. The 2018 IFLR national award presented to ASAR was for the “Most Innovative Law Firm of the Year” in Kuwait. 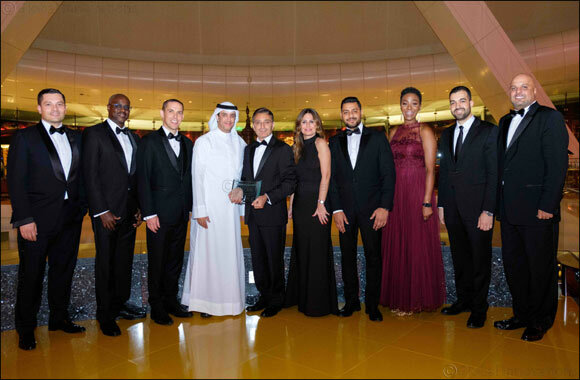 The awards ceremony that was held on 17 October 2018 at the Burj Al Arab hotel, Dubai, saw the attendance of partners and representatives from other leading GCC and international law firms. The firm has been consistently rated as the leading corporate and commercial law firm in Kuwait by reputable legal guides such as the International Financial Law Review (IFLR), the Chambers Global Guide, and the Legal 500. In 2017, ASAR won the “IFLR M&A Deal of the Year Award” in relation to ASAR’s role as Kuwait law counsel to Adeptio AD Investments SPC Limited who acquired a 93.4% stake in Kuwait Food Company (Americana), and the “IFLR Restructuring Deal of the Year Award” in relation to ASAR’s role in acting as Kuwait law counsel to the various creditors in respect to the restructuring of the debt of Adeem Investment and Wealth Management.